Exam season is upon me once again. Even though this is my 8th exam season since starting university, it just never gets easy or fun. Leave it to the procrastinator to leave things to the last minute when I could have started months ago -.- .. Maybe I’ll learn some day. Anyway, summer is here (hence the procrastination and spending time outside instead of locked up with my computer). My nail art still lingers a little bit in spring in terms of color selection. 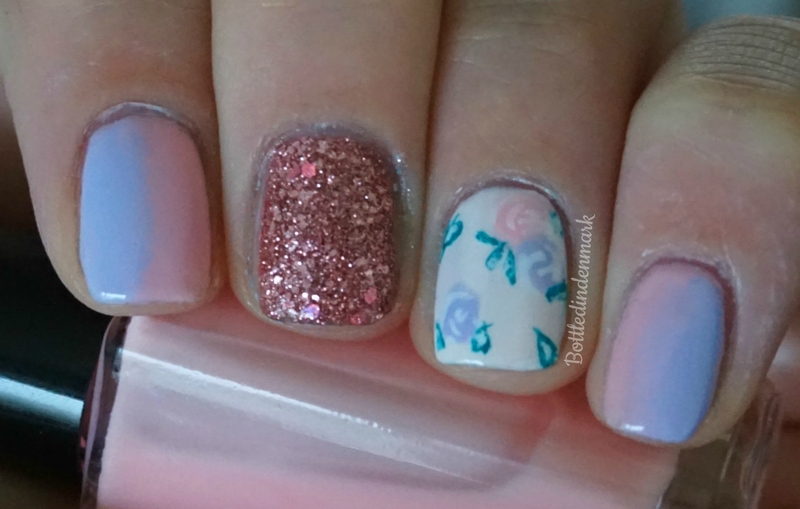 Here is a soft pastel sideways gradient plus roses mani. Very pretty! Good luck with exams!